For every movie theatre that serves as a shrine to the cinematic medium, there are a dozen that wouldn’t know what an aspect ratio was if it slapped them in the face. 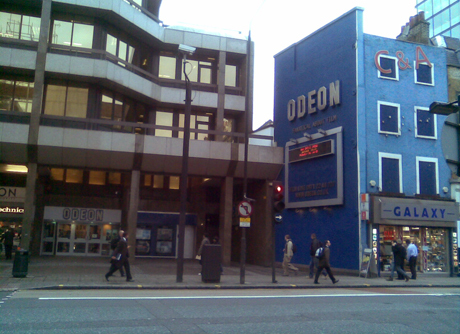 One of my least favourite cinemas in London is the Odeon on Tottenham Court Road. When I was 14, me and a friend went there to see Alien Autopsy, the massively crap Ant and Dec vehicle that also had Harry Dean Stanton in it. This was not long after the 12A certificate had been brought in, and AA had been given one. As we attempted to buy tickets at the box office, we were both asked for proof of age. We were then told that we would not be allowed in to the film because, at 14, we were two years too old to see the film. After a bit of debate over the meaning of the new certificate, the manager showed up and confirmed to us that we were indeed two years above the maximum age for Alien Autopsy. Luckily, the staff at the Odeon Marble Arch weren’t so picky and 109 minutes of campy Dec-based fun were soon ours. All’s well that ends well.